Wearing a fitness bracelet from FitBit, Jawbone, Microsoft, Withings, and others has become increasingly common. 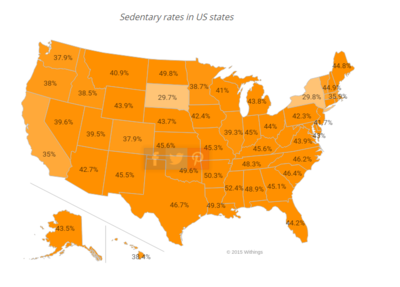 About one in ten people in the US now do some sort of fitness monitoring. As we become more comfortable with the idea of monitoring our own footsteps, calorie-burn, sleep patterns and other health indicators, we should be mindful that it’s more than just individual data that’s being collected. The companies behind these inventions are also monitoring and analyzing the collective data they are acquiring. What are companies looking for and why?